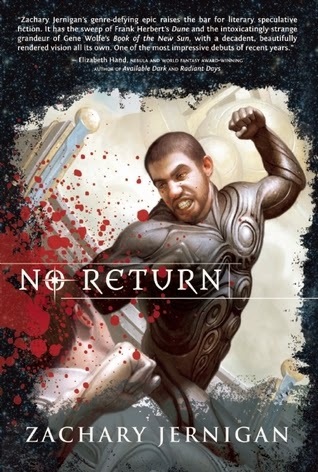 I don't know if it was the title, the cover, or the blurb, but something about No Return caused me to pass it by when it was first released. I remember it, and may have even had it in my review pile at some point, but it wasn't until the blurb for Shower of Stones caught my eye that I decided to go back revisit it. 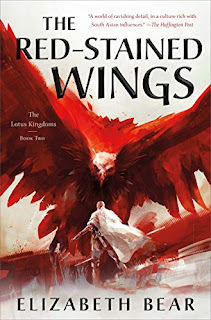 While I didn't find it entirely successful, I do have to give Zachary Jernigan full credit for doing something new, and for bringing some fresh ideas to the heroic fantasy genre. Really, this is a fantasy novel unlike I have ever read before. It's as much science fiction as it is fantasy, with a magical sort of superhero element to it, and some very odd flashes of erotica. Confused? So was I, at least for the first few chapters. This is a story set in a world where the gods are real, and where Adrash, the last god standing, remains among the stars, bored, depressed, and idly contemplating the destruction of the world below. He has crafted a series of metal moon-sized spheres, the orbit and rotation of which he shifts ever-so-slightly to keep his worshipers anxious and uneasy. He's already caused two cataclysms by dropping individual spheres upon the planet, but the next (should it come) will be the big one. On the planet below, mortals are pretty evenly split into those who believe, those who don't, and those who simply don't care. They harvest the petrified flesh and bone of the elders (dead gods, or perhaps just immortals, it's not clear) to feed their magic, not realizing that consuming the elder bone-dust is hastening their own demise. Among these magic users on one side of the world are those who wear the Black Suits and those who wear the White Suits, each of them something akin to a latex or leather clad superhero, stronger, faster, and more resilient than any mortal. On the other side of the world we find the Royal Outbound Mages, similarly attired in superhero suits of black, but astronauts rather than fighters, launching themselves into space to make contact with their god. The novel follows two converging story lines, with the first being a traditional sort of quest/journey across the world. 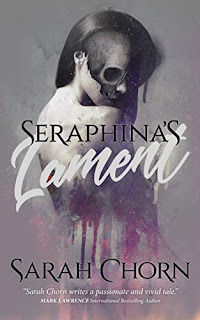 Vedas is a member of the Black Suits, haunted by the deaths he couldn't prevent; Churls is a mercenary, a brutal young woman haunted by the ghost of her daughter; and Berun is a mechanical man, constructed of spheres, who is haunted by his creator. Together, they're travelling across the world to a great tournament, facing off against multiple horrors along the way. The second is more of a magical or philosophical quest, with a pair of Royal Outbound Mages looking to seduce, appease, or destroy Adrash. Ebn is the woman with mouths in her hands (who play a masturbatory role in her magic), while Pol is more of a scientist than a magician (and not above seducing other men to get what he wants). No Return was an absolutely fascinating story, with some big ideas, some nice subversion of the usual tropes, and a fresh take on mythology and religion. Where it fell a little short for me, however, was with the characters and the narrative structure. The characters were interesting, but I never really warmed up to them. I was curious to see who'd win out and how, but never became emotionally invested in the outcome. 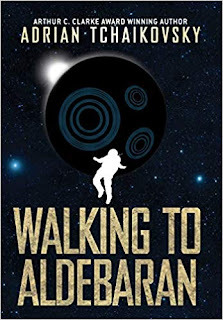 The story was well-written, but the narrative itself was somewhat dry (to the point where I skimmed a bit towards the end), with a structure that too often forced a character viewpoint just to maintain the pattern Jernigan established. I liked the book. I was fascinated by it . . . but I can't really say I enjoyed it. That said, I'm still inclined to check out the sequel, to see how the suitably epic climax plays out, but I hope we'll get a chance to warm up to at least a few characters before he's done. Ah, I heard about the erotica in another review. Was quite surprised by that for some reason. Odd flashes of erotica? I'm in! Kidding. But I am intrigued. I've had this book sitting in my tbr for a while and I have the audiobook. I'll probably review it one of these days for backlist burndown.